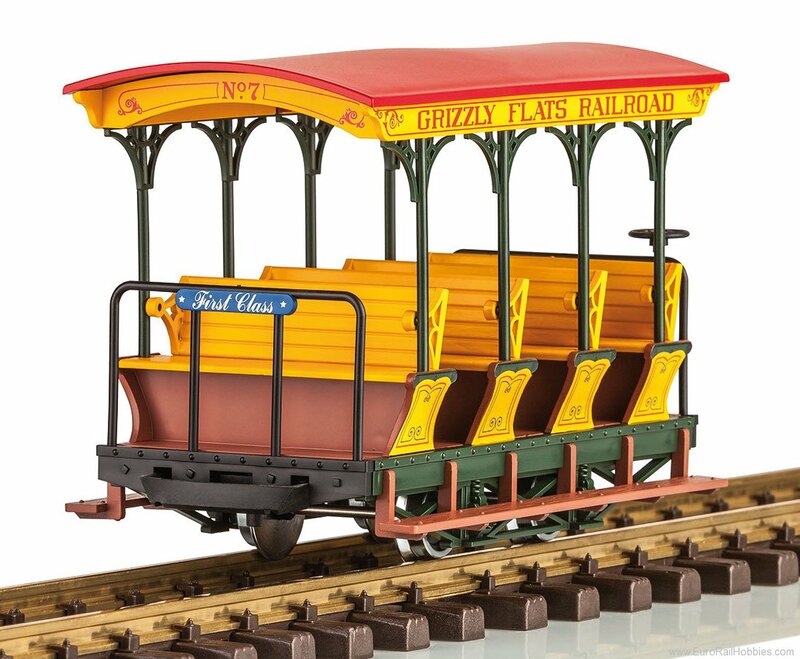 This is a model of the Grizzly Flats Railroad open-air observation car, 1st class. The car is prototypically painted and lettered. The seatbacks can be reversed as in the prototype so passengers are always sitting in the direction of travel. The car has metal wheelsets. Length 19 cm / 7-1/2"
A complete train can be modeled with the 23131 "CHLOE" locomotive and the 32441 passenger car set. The train will look as it did when it ran on the Grizzly Flats Railroad in California.